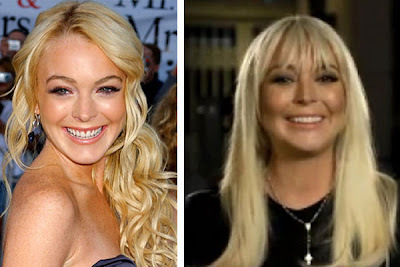 Lindsay Lohan has literally grown up in front of our eyes, starting out as a lovable child star and later blossoming into a fresh-faced teen actress who was poised to become the next 'big thing' in the world of show business. Unfortunately, as she grew into adulthood and flew the coup, setting out on her own two feet, she fell victim to almost every temptation thrown her direction. It was this detrimental lifestyle that virtually ended Lindsay Lohan's promising film career. 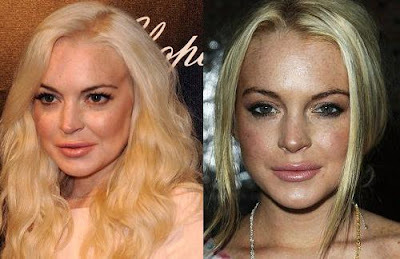 The party-girl lifestyle, mixed with drugs, alcohol, an acquired eating disorder, and her fondness for cosmetic surgery has turned the 25 year-old former A-Lister into a mere shadow of her former self. 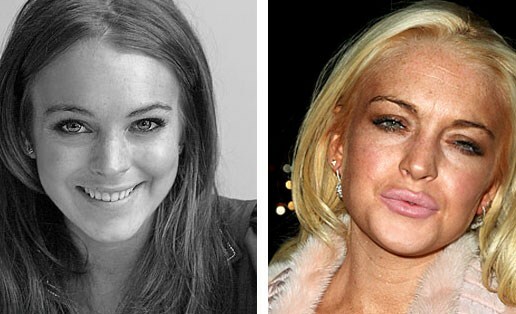 These before and after photos of Lindsay Lohan showcases the visual effects of the choices she's made during the last 5+ years of her life. Presumed cosmetic procedures include lip injections and facial fillers. 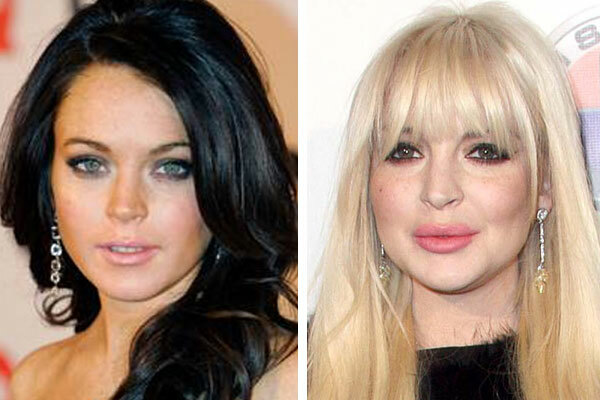 when did bloated duck lips become fashionable? they're just gross and incredibly un-kissable. she screwed up her face but that's the case with so many celebs. makes you wonder what they see in the mirror that these 'improvements' seem like a good idea. yuck. You really cant tell if a lift and pull is going to take or not until after the surgury. Its like playing a game of Russian Roulette. Yeah, my brow is beginning to droop at 46....but who really cares about that - not enough to go risk seeing if I turn out to be a Sylvester Stallone or a Micky Rourke. No way. I like droopy brows. I'll take it.